People are flocking to the Dalmatian region from every corner of the globe and it isn’t just the country’s stunning coastline that’s attracting them! Over a third of Croatia’s surface area is covered by eight national parks and 11 nature parks dotted throughout the country. The abundance of national parks, hiking trails and native flora and fauna attract nature lovers in the thousands to Croatia annually. If waterfalls, lush rain forest, incredible hiking trails, rare wildlife and impressive lakes take your fancy, you’re bound to fall in love with these breathtakingly beautiful National Parks! Embed this image on your website – Just copy this code and insert it onto your site! 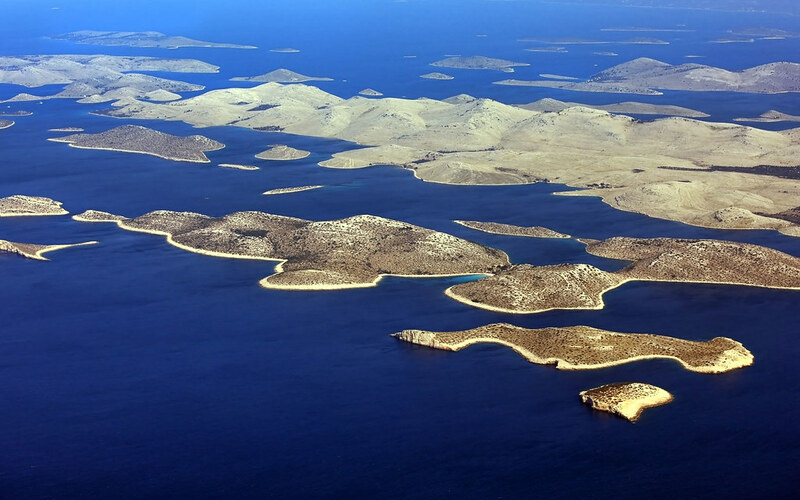 Kornati National Park is made up of the most indented collection of islands in the Mediterranean, with 89 islands, islets and reefs making up the relatively small surface area. Dolphins and sea turtles frequent the archipelago, making it a paradise for those water dwelling adventurers who love to swim, snorkel or dive. For those who prefer to stay above water there are hiking trails and remains of Roman and Illyrian settlements ready to be explored on foot. With peaceful inlets and calm bays surrounding the island and National Park of Brijuni, it isn’t difficult to see why an elite summer and health resort calls this place home! Lush green forest meets the turquoise-blue waters edge and white Istrian rocks dot the hills of the island. There are hundreds of archaeological sites registered here, meaning the island is brimming with traces of human history dating back almost 5000 years. The incredible landscape, combined with the attraction of exotic animals, a golf course, tennis courts and trails for hiking and bike riding mean there is something for everything in Brijuni National Park. 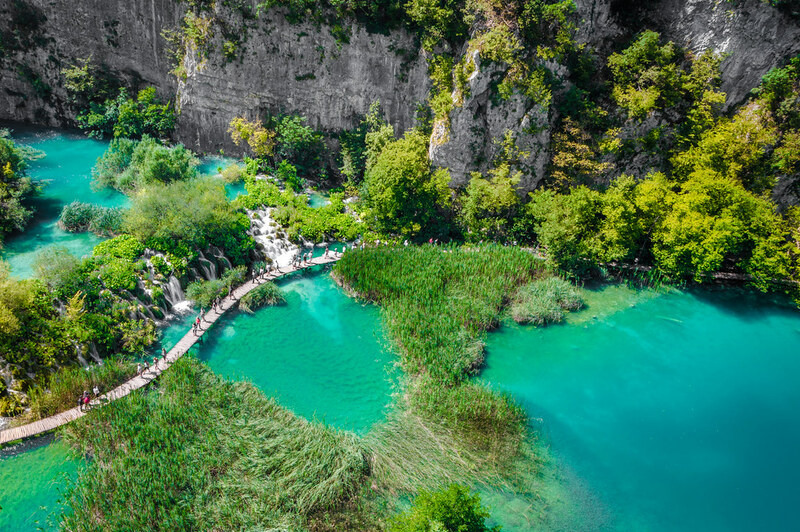 Krka National Park is built on porous rock foundations that make it easy for the river to carve the incredible caverns and lakes that attract people to this famous site! 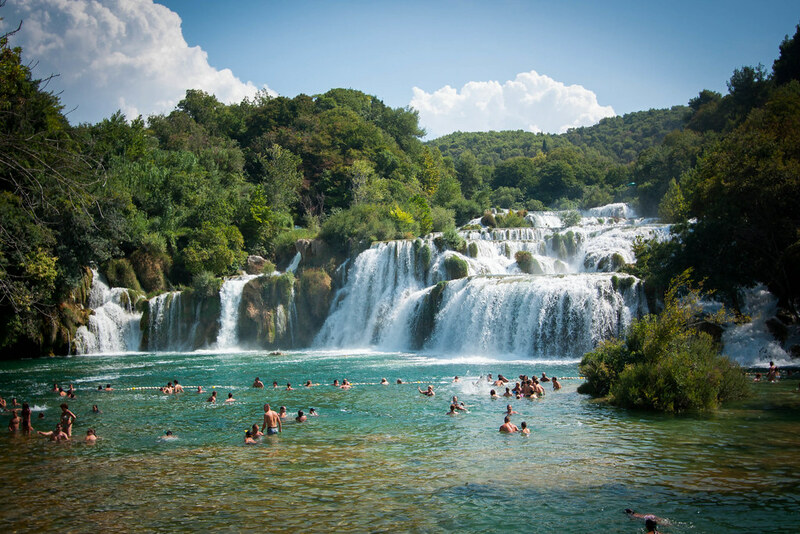 Playing host to not one, but seven impressive waterfalls, Krka National Park is arguably one of the most beautiful National Parks in Eastern Europe! The most famous of the waterfalls, Roski Slap (‘the great waterfall’), consists of a main waterfall towering 22 meters high and an abundance of smaller cascades pooling into a body of water that is perfect for a quick dip! Impressive canyons, a lavish underground cave and a network of steep rocks and cliff faces attract mountain climbers from all over the world to the Paklencia National Park. The imposing karst formations and calcite columns are a haven for those interested in speleology. For those a little less adventurous, there is an abundance of flora native to the Dalmatian area, along with various species of butterflies and birds that are bound to satisfy the inner nature lover in all of us. Considered one of the most beautiful islands throughout the Adriatic Sea, Mljet National Park consists of two salt lakes and an abundance of dense forest, along with a monastery situated on St Mary’s island in the middle of the large salt lake. Mljet sits at the crux of mythology surrounding the Nymph Calpyso, where it is rumored she kept Odysseus in the beautiful ‘Odysseus’s Cave’ for seven years whilst he wandered through the Mediterranean. The National Park also has a rich cultural and historical heritage, dating back to Illyrian times, with ruins and the remains of Illyrian and Roman settlements ready to be explored! Risnjak National Park, whose name is derived from the Croatian word for the lynx, provides a diverse and interesting playground for mountaineers and hikers alike as well as the perfect environment to spot unique flora and fauna in their natural habitat. The National Park plays host to the source of the river Kupa, where you’ll find the unique blue and green carst spring that is well worth the hike. The first Croatian National Park to be recognized by UNESCO is Plitvicka Jezera (Pltivice Lakes). 16 connected lakes form the main attraction of the National Park, although the surrounding forest is an attraction in itself, hosting an abundance of local flora and fauna such as the brown bear, wolf, lynx and otter. Breathtaking in all seasons, the National Park attracts nature lovers from all over the world who come to marvel at the turquoise lakes, caves, waterfalls and dense forest surrounding the area. Being one of the coldest parts of Croatia means that the snowy winter can last up to seven months in the Sjeverni Velebit National Park. The cold weather creates an incredibly diverse and well preserved ecosystem, with an abundance of crevices, karst valleys, ice caves, ponds and dense forest supporting a variety of native flora and fauna. If mountain climbing is what you’re after, the UNESCO protected Velebit Mountain attracts all levels of mountaineers aiming to conquer the 1676 meter peak. Hikers, nature lovers and mountaineers alike fall in love with the slow pace and untouched beauty of this national park.